Continuing to build on our success in the last year with the i2 Health-Pod, our efforts were once again recognised by the ACQ Global Awards, and we are delighted to be recipients of the Communications Software Provider of the Year for Healthcare. RPM has successfully implemented One-Path into over 600 practices and associated healthcare sites with cost effective and enhanced communication solutions which are now assisting millions of patients nationwide with improved access to their practice. Feel free to read more below! The Corporate LiveWire Awards represent the pinnacle of business achievement, championing the best in their respective fields. RPM are delighted to receive the award for the Most Outstanding Communications Software in the Health Sector, an achievement which recognises some of our pioneering development work. Enhancing efficiency in a practice environment is both a challenging and rewarding experience, and our continued progress to engage with new and exciting software applications is driven by the demanding requirements of this sector. RPM’s Managing Director says: “I’m thrilled to be accepting yet another award this year which demonstrates all the hard work and effort from the entire RPM team. Jon goes on to say: “RPM’s continued research and development is essential in providing enhanced patient access improvements which assist by alleviating some of those all too well known frustrations and challenges facing GP’s, practices and their staff nationwide. 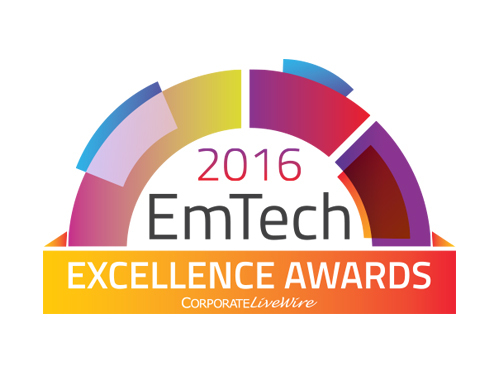 RPM have been awarded the Best Communications Research & Development Company for 2016! For the second year running our expertise in the communications environment has resulted in recognition from one of the leading business and operational management publications. Dedicated to increasing awareness of companies who are passionate about improving operational aspects for their customers, Corporate Vision have created a gateway which helps business management teams easily connect with the ‘best in breed’ providers in the market. RPM have been awarded as one of these companies, and we are committed to driving development and enhancements within a variety of healthcare and business environments. Feel free to contact a member of our team if you’d like to share in our innovative approach and see what applications we have which can upgrade your communications infrastructure. The ACQ Annual Award Program recognises organisations that have achieved outstanding commercial success in designated areas of expertise. We are proud to be the Winners of End-to-End Communications Technology Provider of the Year for the Healthcare Sector and happy to be recognised as one of the leading providers for communications solutions to practices nationwide. A complex environment such as healthcare cannot be treated with a ‘one-size fits all’ approach, and this is where RPM strive to provide an all-encompassing service which is tailored to the practices and federations we support. RPM’s Managing Director Jon Richardson was also in the mix with an individual award for UK Gamechanger of the Year Award for the Healthcare Sector. Emerging Technology is regarded as one of the greatest advocates for change, as innovative breakthroughs are solutions to the most pressing global challenges of our time. RPM Solutions have been recognised with The Most Outstanding Communications Software in the Health Sector and for revolutionising and adapting the way businesses and practices work. This is awarded as part of our overall goal in helping to change every aspect of how end users access information and remain connected to the wider world. 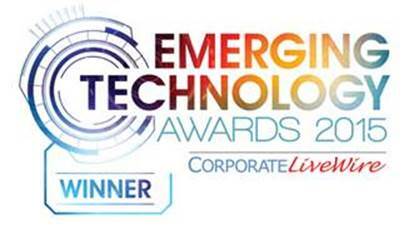 The Corporate LiveWire Emerging Technologies Awards celebrates and rewards those leading this tech revolution through their vision and innovation. 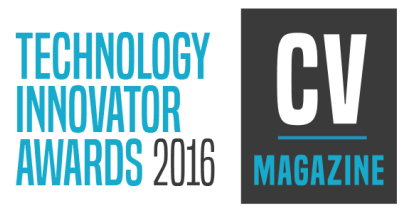 Aimed at companies who are devoted to evolution and progression within their sector, RPM are pleased to announce we have won the 2015 Tech Innovator Award for Communications and Development. Our experience with a variety of ground-breaking IP and cloud-based solutions offers a unique and extensive feature set which go beyond what customers can expect from a traditional phone system. As a company, RPM have worked hard to incorporate a variety of technological and software platforms to create an end-to-end package, backed up by our passion for innovation and ‘ultramodern’ answers to complex problems. The Technology Innovator Awards highlight the companies behind ground-breaking developments in technology and shine the spotlight on cutting edge individuals, departments and firms who are developing and sharing the technology that will continue to enhance and fundamentally alter the business world for the better for many years to come. Continued success in the healthcare communications sector has resulted with RPM Solutions becoming twice winners of The General Practice Awards for Communications Provider of the Year! Following the recognition received in 2011 for our communications platform and expansive market portfolio, RPM were winners of this prestigious award which is based on votes by leading GPs, members of CCGs and practice managers across the country. This paved the way for a second year of growth and success, resulting in RPM breaking through as finalists in 2012. Our passion and drive to provide a comprehensive and fully supportive healthcare communications platform has lead to a further win in this category in 2013. Needless to say, the groundwork provided by this investment and development is key to our continued recognition in all business and healthcare environments and we are delighted to receive these awards with a view to drive forward and push the boundaries in terms of service delivery, support and feature set.